Mexico offers some of the best sports fishing experiences in the world! Every year, thousands of people head to Mexico to enjoy their passion for one of the world’s most popular sports: fishing. With over 6,00 miles (10,000 km) of coastline, water sports are one of Mexico’s forte experiences; there are a handful of locations in Mexico that are known for world-class fishing opportunities—we’ll point you in their direction in this guide. Before that, it’s worth arming yourself with a few tips about sports fishing in Mexico—especially if you’re new to the sport or want to see what it’s all about on your next vacation to Mexico. When you’re planning your next vacation in Mexico, consider taking a sports fishing trip, especially if you haven’t been on one before. Sports fishing is fun and exhilarating; it’s a great day out on the water and sets you up perfectly for a great evening back at the bar, talking about your experiences (and with luck – catches! – or if not “the one that got away!”) with friends and enjoying a well deserved rest over beers, cocktails and delicious Mexican food after a long, memorable day! Mexico’s deep sea fishing is known and revered the world over by experienced fishermen who come here regularly to take part. But deep sea fishing is just one type of sports fishing you can enjoy. 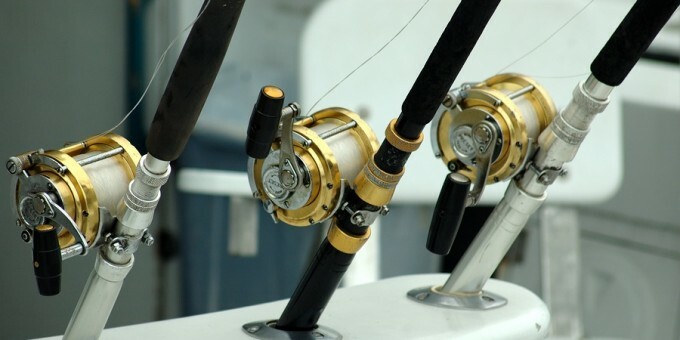 For people who don’t want to go out on a boat; surf fishing and fly fishing are viable alternatives here too—cast your line from the beach and see what you can catch. This is an especially popular pastime early in the mornings. For the most fun, take a charter boat and go out to sea to find your fish! The great thing about doing this in Mexico is that there are lots of operators locally set up to deliver these kind of sports fishing experiences—whether you’re an old pro, or someone brand new to it all —there’s someone who can help you enjoy the thrills and excitement of an off-shore fishing trip. Fishing trips usually begin early in the morning and will last anywhere from early afternoon to early evening. Good fishing charter companies have boats that have been specially adapted for sports fishing. The good ones will come fully equipped with a trained, knowledgeable and licensed crew, the right gear, and all the necessary accessories for the kind of fishing you plan to do. Mexico has strict regulations about fishing: boats, crew and all members onboard—whether they are fishing or not—must be licensed; only one rod/line per person is permitted in the water and there are regulations about how many rods/reels per person may be taken onboard. Mollusks and crustaceans are off-limits, with some species— turtles for example—protected by law. There are also limits on how many fish can be caught and brought back, although there is no limit on catch and release. Check with the operator to find out what facilities and services they provide and don’t be afraid to ask them about their crew, their permits, length of experience, facilities, safety and equipment—especially if this information isn’t forthcoming on their web site or over the telephone/email when you’re in touch with them. Good, established and experienced fishing operators will have no problem talking about these things. Reserve in advance – especially during the high season. Sports fishing in Mexico is really popular and if you travel down to Mexico in high season without having made a reservation, you might be disappointed. The best boats and the best crews always sell out ahead of time—so use Mexperience.com to find a sports fishing operator and book ahead for your travels! What’s included – When you make a reservation, be sure to understand what is and is not included in the price you are being quoted. A day’s fishing trip package should include the boat, its captain and licensed crew; fishing equipment; bait & tackle; fishing license; food; drinks (soft drinks, water and beers); tips for the crew; ice; and tax. Some of these may not be included in the base price. Just ask and get everything clear from the beginning. Travel Prepared – Don’t forget your camera! Most fish are released back into the wild (“catch & release”), but never before a proud picture moment—and you never know when you’re going to catch the big one! A day out on a boat will consume a lot of energy. When you’re out on the water, you’re exposed to the sun, wind and waves and it’s important that you go prepared. Be sure you can “cover up” from the sun: including a good hat and high factor sun cream/block. Lip balm may also be useful; some varieties include a sun block. Stay well hydrated at all times by drinking plenty of water; moderate your alcohol intake, especially if you start feeling a bit sun-stroked. 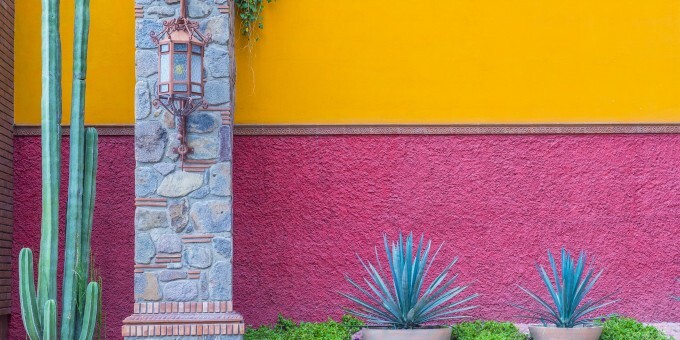 See the Health and Safety Guide on Mexperience for more information about staying safe and healthy on your travels in Mexico! Catch and Release – This policy is encouraged by most fishing boat charters that operate in Mexico, and some have strict policies regarding which type of fish can be retained and which type must be released. Catch and Release is the most sensible option for people going to Mexico to enjoy the thrills and experience of leisure sports fishing. If you want to taste a little something of what you caught, local restaurants may be able to oblige from catches made by fishing vessels early that same day. Without question Mexico’s largest and most popular sports fishing venue in Mexico is Los Cabos (Encompassing Cabo San Lucas, San Jose del Cabo and La Paz). Various world records are held in these parts for the largest fish caught. Marlin and sailfish are the most popular catches —estimated at over 50,000 every year. The overwhelming majority of these are photographed and let back into the wild. To fish for blue and black marlin, you’ll need to head to Baja between June and December. Sailfish are prevalent between April and October. If you can’t get down here during these months but want to fish, there are other varieties- including the striped marlin – always there to oblige. Besides being one of Mexico’s most popular coastal resorts (with Mexicans, especially), Mazatlan is also one of the country’s top fishing venues and has also been entitled with the honor of being “Billfish Capital of the World”. Like Los Cabos, you can fish all year round in Mazatlan. Tuna, sea bass, dorado and grouper are abundant in these waters; sailfish are predominant May to November and striped marlin between December and April. If you like Bass fishing, then Mazatlan is absolutely the best place in Mexico for it. There are also two nearby lakes (Comedero and El Salto) which are stocked with native & florida black bass. You can arrange package deals for trips out to the lakes for bass fishing. The ocean waters off the coast of Puerto Vallarta are some of Mexico’s most fertile. PV is renown for its deep sea fishing expeditions which often depart from here. Fishing is an all-year-long activity in Puerto Vallarta and you can expect to find ample stocks of sailfish, marlin, red snapper, bonito, shark and tuna to catch in these waters. Just a short drive south from PV you’ll find the Costalegre; renown for it’s luxury hide-away hospitality, it also holds another little-known gem: the prime fishing havens off the villages of Barra de Navidad and Isla Navidad. Here, you can heighten your senses and go in search of blue and black marlin, sail fish, dorado, roosterfish, and giant tuna all year long. There are also ample opportunities for on-shore and fly fishing from these waters. Come back at the end of a fabulous day to the comfort and luxury of the Costalegre. If you want sports fishing with a touch of luxury, there’s only one place to head for: Costalegre. Like PV, this area is highly regarded for its deep sea fishing and is referred to by some as the “Sailfish Capital of the World”. Almost equidistant between Manzanillo and Acapulco, the ancient fishing village of Zihuatanejo is another one of Mexico’s prime fishing locations. Several important fishing tournaments take place here each year and fishing enthusiasts consider it to be one of Mexico’s best locations—some even argue that it IS the best. Although experienced fishermen have been paying pilgrimage to these waters for decades, it’s only in recent years that its reputation has become more widely recognized. Fish here for marlin, sailfish, yellow fin tuna, roosterfish, dorado and wahoo. Year-round fishing is available in the ever-popular sea port and coastal resort of Acapulco;striped marlin, pompano, bonito, red snapper and tuna are the main catches in these waters and there are frequent trips daily from the docks just across the way from the city’s main square. Mexico’s most popular—and most visited—resort of Cancun and the Island just across from it—Cozumel—are also a popular sports fishing locations. Like Puerto Vallarta, deep sea fishing is good here, with lagoon fishing also available. Between March and May, you can travel out to catch sailfish; during April and May you find blue fin tuna and white marlin. Every main coastal resort and beach-side destination in Mexico will have a selection of Fishing operators who can help you to go fishing in Mexico.